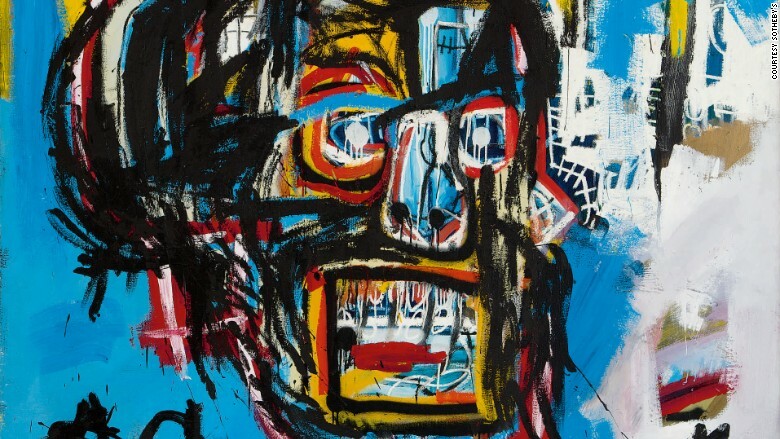 A Japanese billionaire has bought a Jean-Michel Basquiat painting for $110.5 million, the highest ever price paid at auction for a work by an American artist. It's a spectacular increase from the last time the painting, "Untitled," was sold -- it fetched a mere $19,000 in 1984. For more than 30 years since then, the picture depicting a skull-like head has remained stashed away in a private collection. The Japanese buyer, e-commerce tycoon Yusaku Maezawa, said he plans to loan the painting out around the world before making it the centerpiece of his museum in his hometown of Chiba. "I hope it brings as much joy to others as it does to me, and that this masterpiece by the 21-year-old Basquiat inspires our future generations," he said in a statement. "Untitled" by Jean-Michel Basquiat is the first work made after 1980 to sell for more than $100 million. The sale of the picture at Sotheby's in New York puts it in an elite club: only 10 other works have sold for more than $100 million. Painted by Basquiat in 1982, "Untitled" has now fetched the sixth highest price ever for a work of fine art. The Sotheby's catalogue describes it as a "raw, uncensored, and fiercely magnificent." The amount it sold for blew away the auction house's pre-sale estimate of $60 million. It also tops the $105 million paid in 2013 for Andy Warhol's "Silver Car Crash (Double Disaster)." 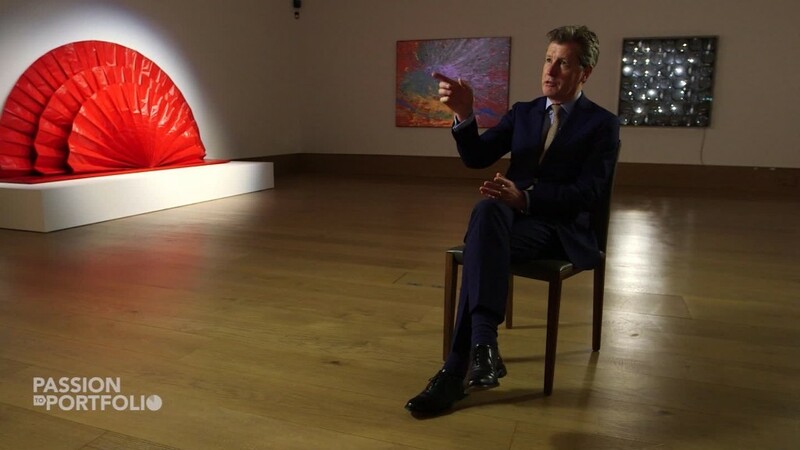 And it's the first work made after 1980 to sell for more than $100 million. Maezawa, whose wealth is estimated by Forbes at around $3.6 billion, already held the previous record for a Basquiat picture. He paid $57 million for another "Untitled" work a year ago. The 41-year-old Japanese entrepreneur started off selling imported CDs and records. But he built his fortune on Zozotown, an online fashion shopping platform he founded in 2004. Maezawa's collection already includes works from Pablo Picasso, Alberto Giacometti and Jeff Koons. Raised in Brooklyn, Basquiat was a maverick of the New York art scene in the 1980s. Of Puerto Rican and Haitian descent, he initially gained attention for his graffiti before eventually becoming one of the most celebrated artists of the time. A prolific creative force, he drew on his racial identity and personal torments to create vibrant expressionistic works. He died in 1988 at the age of 27 from a heroin overdose. Sotheby's said the untitled painting sold Thursday "offers a ferocious portrait of an artist defined by explosive talent and calamitous brilliance."